What are chances of Celtics getting Lakers' draft pick at #2 or #3? 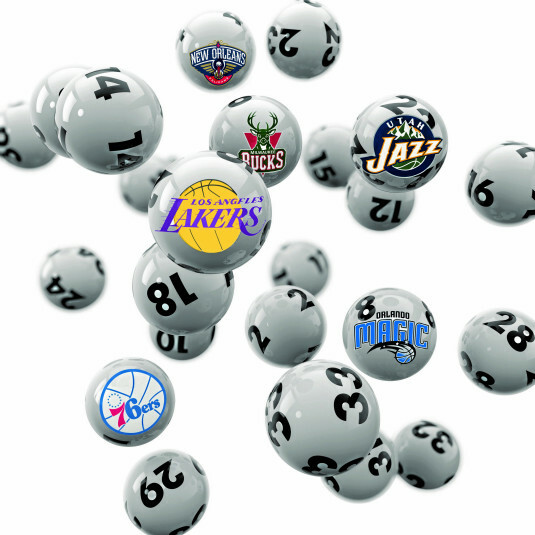 This is the final day of the NBA regular season, and the chances of Boston acquiring the coveted Lakers lottery pick is mighty slim indeed. But it is still there. With LA holding the 10th worst record in the League, the former 2-5 range has diminished to 2-or-3. If the ping pong balls flow in total favor of Philadelphia and the Lakers come out with the number one pick, the 76'ers get the pick. The Celtics never had a chance at that, but no chance is almost as good as Philly's 1.1% odds. Since the Lakers did not finish with one of the three-worst records, picks four and five are no longer in play for the Celtics. But Boston does have a small shot, just under 3%, at either the #2 or #3 pick. We can only hope that the Lottery Gods smile on the battle-worn Celtics and - #1.) Deny the 76'ers the number one pick - and #2.) Convey one of the two next picks to Boston. The Celtics could use some good fortune at this point. They are due. If all of this does not work out, we fast-forward to next year. Boston will acquire the more favorable first-round pick from either the Philadelphia 76'ers or Sacramento Kings. If that pick turns out to be the overall number-one choice, the Celtics get the less-favorable pick from the two teams. Philly currently holds the third-best record in the East and is on a roll. It is very doubtful they will end up in the lottery next year. Sacramento has the 5th worst record in the League right now, and the better chance is that Boston will own their pick which is almost certainly destined to be higher that Philly's. The King's pick in 2019 could be a very good one, but the talent in that draft doesn't look as promising as the 2018 crop. Well, that is where things sit right now. May the Lottery Gods smile on Boston!